Close your eyes and imagine a place where the skies are a bit bluer and the clouds a little fluffier. Magnificent mountains are awash with a thick coating of the most pristine snow ever to fall. The air is crisp and the sun strong. In the early morning, the only discernible sounds come from church bells and the crunch of snow beneath heavy, cumbersome ski boots. Evenings bring stars, snow and sometimes both. Now, imagine quaint villages, where people in woolen layers surround roaring fires, while sipping on strong spirits. This place not only exists in your mind, but also in the western most end of Austria. It’s known as the Arlberg. Serious skiers should know this region. After all, the Arlberg is the cradle of Alpine skiing, where Hannes Schneider developed modern-day downhill ski techniques nearly 100 years ago. Ski Club Arlberg is one of the oldest in the world, where members include Olympic and world champions. For the purist, skiing the Arlberg is not only an opportunity to experience the sport’s historical roots, but also some of the very best snow and terrain in all of the Alps. Here, mountains reach as high as 9,200 feet and receive an average of twenty-three feet of annual snow, creating a dramatic and awe-inspiring landscape. It’s no wonder that ski resorts, Lech Zürs and St. Anton, draw winter sports enthusiasts from over fifty countries each year. As part of the prestigious Best of the Alps organization, Lech Zürs and St. Anton resorts are not only known for their tremendous Alpine activities, but also their historical significance and tourism infrastructure. For centuries, humans have attempted to conquer these mountains. Treacherous passes, strong snow storms and avalanches made this stretch of the Alps extremely dangerous, but travel to the region became easier with the opening of the Arlbergbahn railway in the 1880s. And today, over eighty state-of-the-art gondolas and lifts disperse skiers and snowboarders to the nearly two hundred miles of varied mountain runs, as well as to the one hundred miles of off-piste possibilities. It’s Alpine innovation at its finest. For those who can’t be bothered to ride a lift or simply want the euphoria of experiencing virgin snow, heli-skiing is a luxurious possibility in the Arlberg, which isn’t the case in all the Alpine countries. Freestyle skiers and snowboarders will enjoy the jumps, boxes and rails found throughout the mountains. Not simply for downhill skiers and snowboarders, the Arlberg also has forty miles of cross-country ski runs, illuminated toboggan runs, winter walking routes, ice skating, ice climbing, paragliding and curling opportunities. St. Anton, St. Christoph, Lech and Zürs are four of the villages that comprise the Arlberg region. And despite their close proximity to one another, each village has its own charm. The largest (about 2,700 full-time residents) and most well known is St. Anton, or Stanton, as residents lovingly refer to it. Cosmopolitan St. Anton offers a variety of lodging options, gastronomic restaurants, a modern wellness center and one of the best spots for après ski. 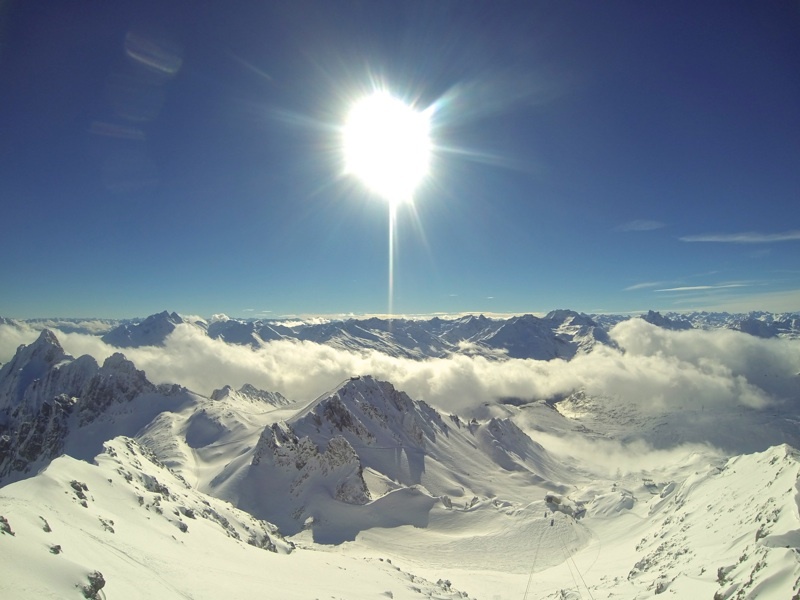 Tiny St. Christoph sits at nearly 6,000 feet and is surrounded by snow-capped mountains. It’s home to a 14th century hospice, built as shelter for travelers crossing the Arlberg. True to its origins, it’s now home to a five-star hotel, offering fine cuisine and an internationally acclaimed wine cellar, as well as a training center for elite skiers. At first glance, Zürs appears to be an unassuming place. However, it’s the village of choice for some of Europe’s royal families, which brings with it a certain level of sophistication. Luxury hotels, stylish bars and hailed restaurants provide an exclamation point to the day’s activities on the slopes. 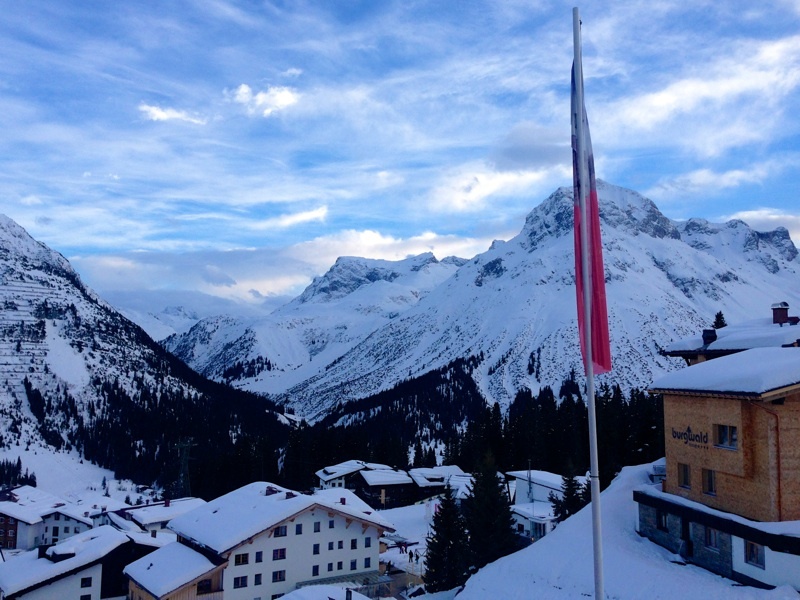 Perched at nearly 4,800 feet, Lech sits in a high valley very close to Zürs. 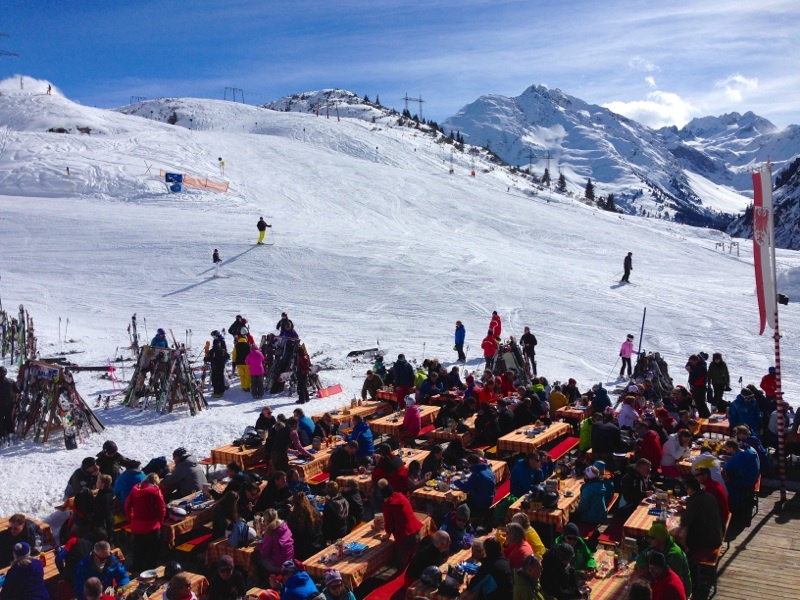 Known for its gastronomic prowess, Lech is a prime destination for epicureans. A short cable car ride away is Oberlech. Directly on the slopes, this minute car-free village is surprisingly lively, thanks to the number of hotels and restaurants. 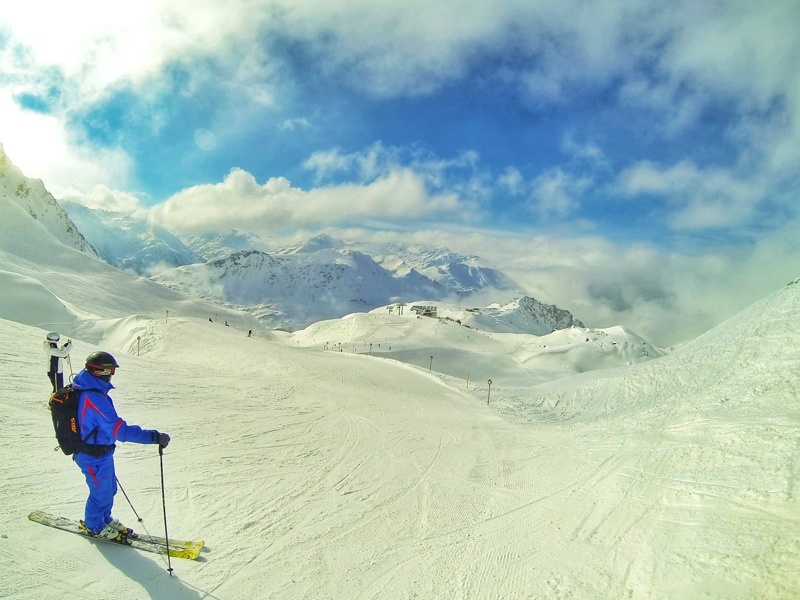 Lech Zürs and St. Anton are winter sports enthusiasts’ dream, but that’s not all. Their resorts and villages are also ideal destinations for spa, wine and culinary connoisseurs. Arlberg Hospiz Hotel has a legacy that dates to the 14th century, when a kind-hearted shepherd named Heinrich Findelkind founded the hospice as a place for weary travelers crossing the Austrian Alps. Now a five-star hotel, the Arlberg Hospiz is still a welcoming and comfortable place for guests. With its traditional Austrian feel, the hotel also has a large spa, four gourmet restaurants and remarkable wine cellars, one of which dates to 1386, known as the Brotherhood’s Cellar. To say that the hotel owner, Adi Werner, is fond of fine wines would be an understatement. 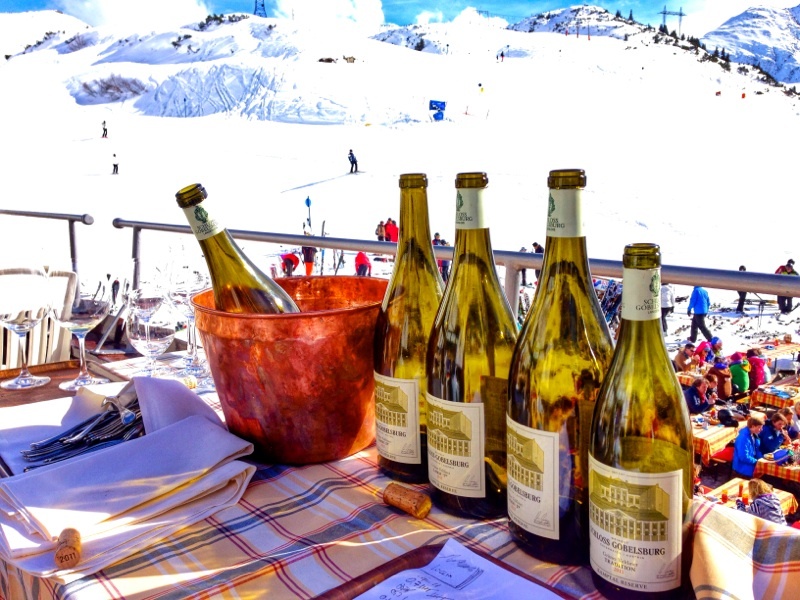 The neighboring Hospiz Alm Chalet is also home to the world’s biggest collection of special large wine bottles, many of which come from the famed French wine growing regions of Bordeaux and Burgundy. Austrian Hospiz Gallery is an unexpected find inside of the Arlberg Hospiz Hotel. Home to varied contemporary art exhibits, the gallery is the brainchild of Florian Werner, artist and son of Adi Werner, owner of the Arlberg Hospiz. The “Artists in Residence” program gives contemporary artists a place to live and work, with their creations later displayed in the gallery. 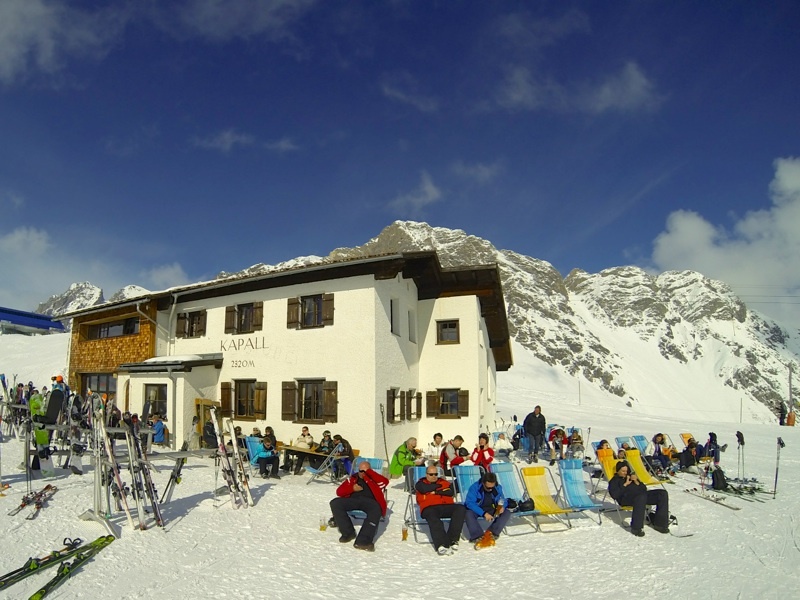 Hospiz Alm Chalet is located directly on the ski piste and is an excellent place for lunch while skiing St. Anton. It’s not your typical resort restaurant; Hospiz Alm Chalet’s menu is gourmet and features the extensive wine list found at the Arlberg Hospiz Hotel. Inside, the restaurant is warm and rustic. Outside are rows of picnic tables filled with hungry skiers. The most sought-after and exclusive spots are on the terrace. And if you’re really lucky, owner, Adi Werner, will be your waiter. Museum St. Anton is far more than a place for ski relics. First built in 1912 by German industrialist, Bernhard Trier, the villa has played significant roles in both the history of skiing and World War II. After the war, there were plans to turn it into a hotel, but in order to preserve a piece of its heritage, St. Anton purchased the villa and turned it into a ski museum and restaurant. Guests are invited to learn about the history of skiing in Austria and dine on regional dishes in the inviting and intimate restaurant. Hotel Post is a four-star hotel located in the heart of St. Anton on a pedestrian-only street. 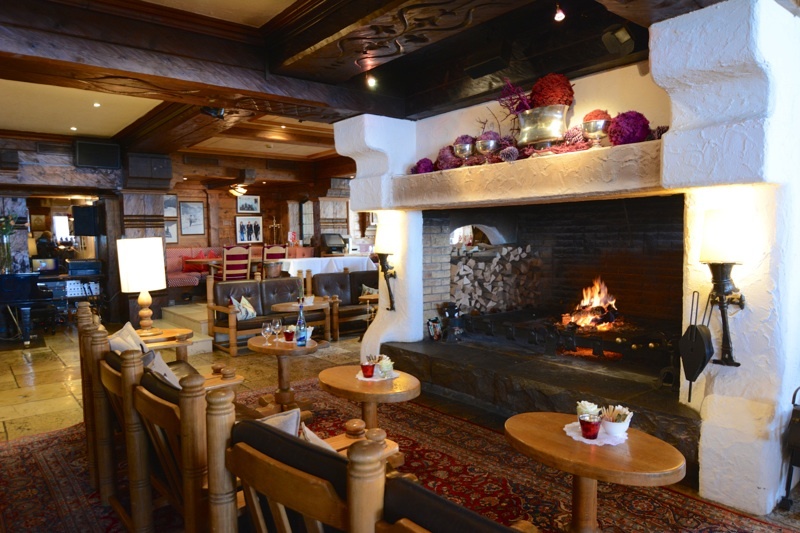 Dating to 1896, the hotel offers traditional Austrian charm in a quaint Alpine setting. While eating schlutzkrapfen and sipping a hugo on the hotel terrace, watch villagers pass by. 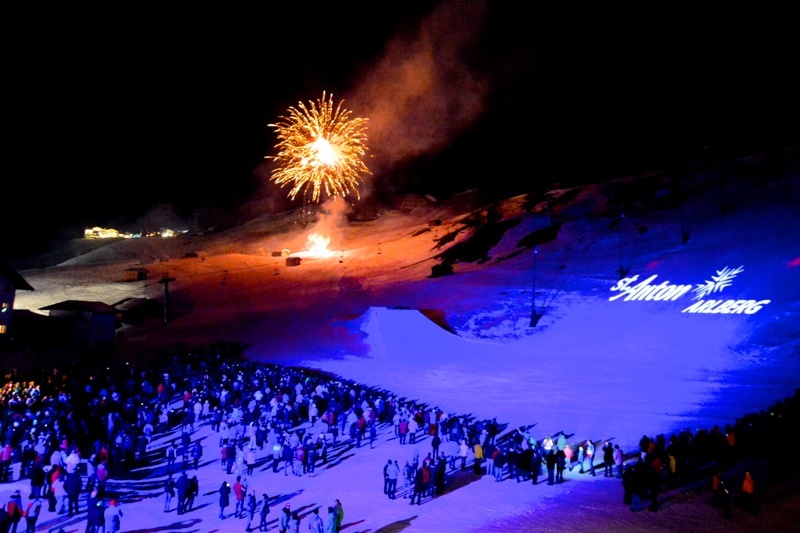 “Schneetreiben-The Snow Must Go On” is an elaborate ski show that takes place at Finisher Stadium every Wednesday night, starting at 9:00 pm during the ski season. The show lasts about an hour and recounts the evolution and history of skiing in the Arlberg. Complete with lights, special effects, music, fireworks and talented locals and instructors, this elaborate presentation is a must-do for all ages. Verwallstube is the highest situated Gault Millau-rated restaurant in Europe and has received two hats. 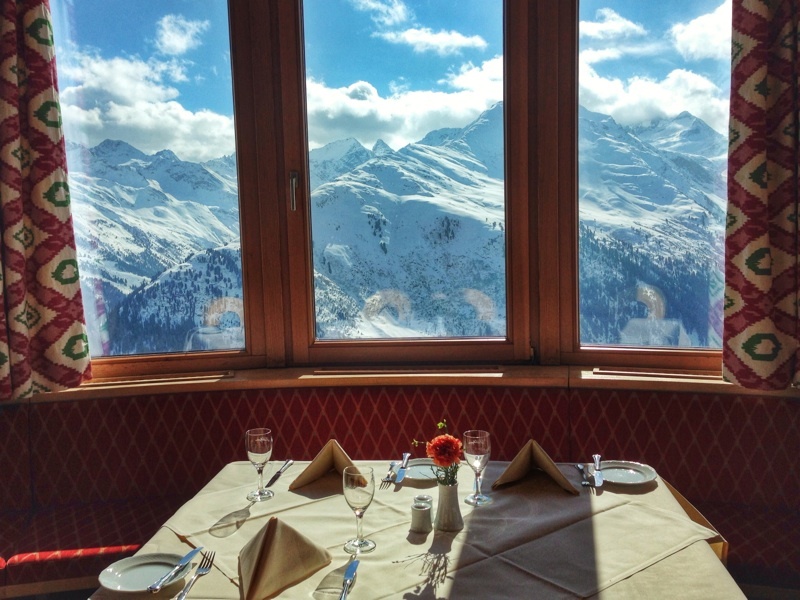 Found on the Galzig, one of the best-known mountains in St. Anton, Verwallstube not only has fine cuisine, but also a panorama that beckons skiers to linger over lunch. On Thursday evenings, head chef Bernhard Neuhold offers a candlelight dinner, where guests arrive by the Galzigbahn, St. Anton’s Ferris wheel gondola system. Hotel Goldener Berg is a four-star superior hotel in Oberlech. Hop a gondola in the center of Lech to be transported to this unique, carless village on the mountain. Traipse through the snow, or take the underground tunnel system leading to Hotel Goldener Berg. There’s no need to bother with luggage; hotel staff driving carts take care of the heavy lifting by delivering bags directly to the hotel. Though certainly not the easiest place to get to, it’s worth the trek. Operated by the Pfefferkorn family, Hotel Goldener Berg feels like walking into a friend’s Alpine home. The welcoming and comfortable atmosphere is enhanced by its ideal location directly on the piste. Four gourmet restaurants, as well as an extensive wine cellar, offer guests a variety of culinary options, while the stunning spa is a welcome treat after a day on the slopes. Don’t miss the opportunity to wander around this historical hotel. There are surprises around each corner. Aurelio is a five-star superior hotel in Lech. As one of the newer hotels in the village, Aurelio has made a splash. Its 19 rooms and suites are elegant and luxurious, while the adjacent chalet is beyond reproach. With six double bedrooms, two junior suites and one master suite, the chalet sleeps twenty people. The chalet’s private spa area includes an indoor pool, sauna, Jacuzzi, steam bath, two treatment rooms, and relaxation area. 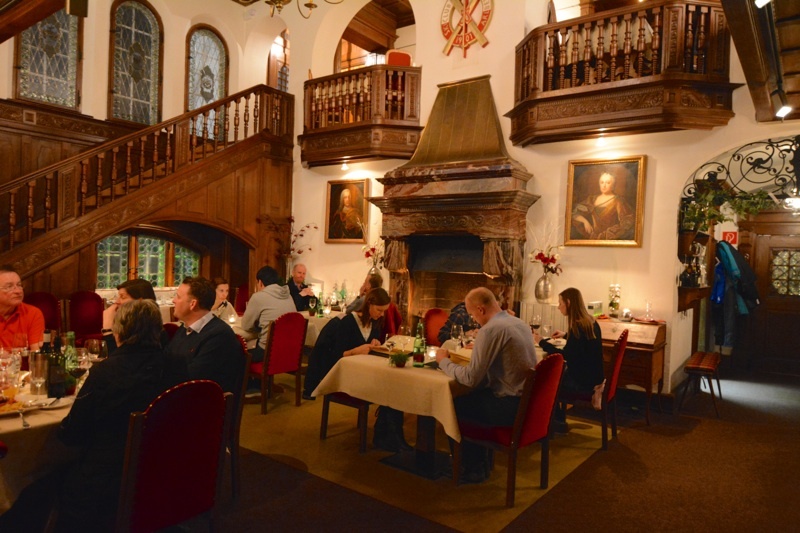 Dining options include a gourmet restaurant that features modern adaptations on traditional Austrian dishes. Lunch with a view is enjoyed on the Sun Deck, while the Licca Lounge is a cozy and inviting place to curl up with apéritifs and digestifs. Combine these first-class amenities with 24-hour butler service and its ski-in, ski-out location on the Schlegelkopf piste, and Aurelio is the ultimate in luxury. Hotel Hirlanda is a four-star hotel in the heart of Lech. 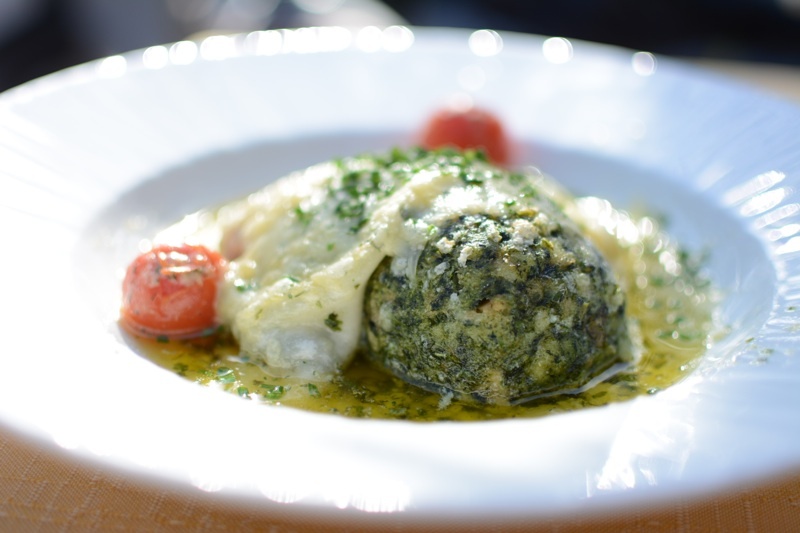 Found directly on the piste, next to the bottom station of the Trittkopf lift, the restaurant is an ideal place for a relaxing lunch. 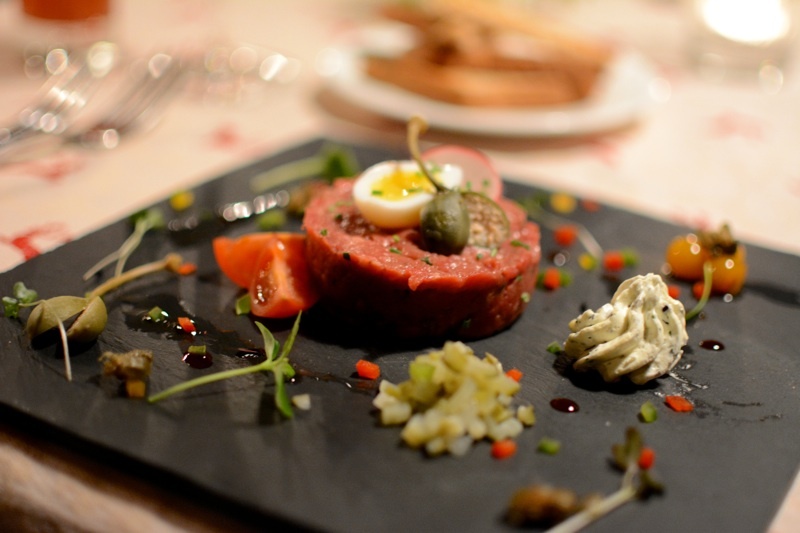 Its menu is eclectic–traditional Austrian food, lamb, fish, oysters and foie gras to name a few. 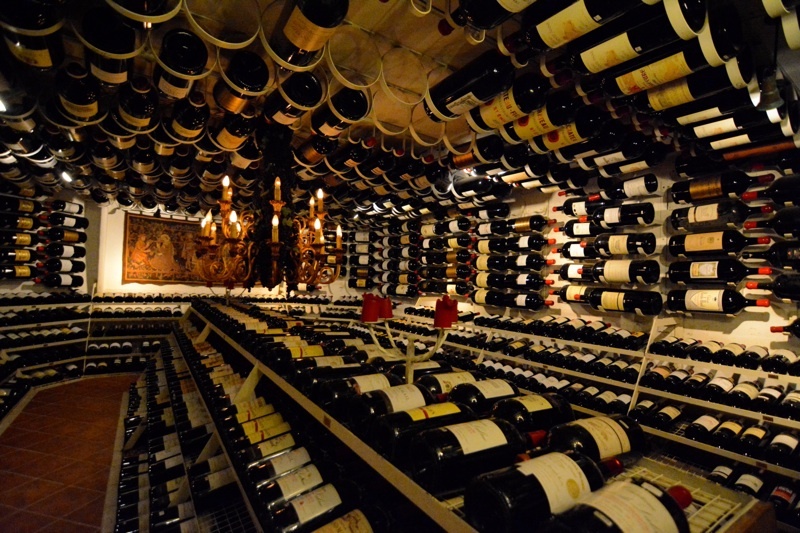 Of course, a meal is not complete without at least one glass of wine, and the restaurant has a stocked cellar. The beauty of visiting the Arlberg is not just its unforgettable vistas, but also all of the extra features that make Lech Zürs and St. Anton world-class ski resorts. While providing some of the best skiing in the world, the Arlberg also caters to those with discriminating tastes when it comes to accommodations, food and wine. Austrian hospitality and luxurious options combine to make Lech Zürs and St. Anton must-visit destinations for any winter aficionado. PreviousMara Plains Camp: mischief in the Masai Mara!